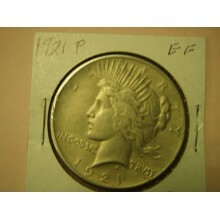 1921 Peace Dollar, EF ..
Pewter pin Hand poured and hand finished. Mallard Flying #321, 1986. Two pin studs with locking back..
Pewter pin Hand poured and hand finished.Smallmouth Bass, #121,1985. Two pin studs with locking back..
Pewter pin Hand poured and hand finished. Dinosaur. Stegosaurus #621, 1994. Two pin studs with locki..
Pewter pin Hand poured and hand finished. Weakfish #211. Two pin studs with locking backs. ..
Pewter pin Hand poured and hand finished. White Tail Deer head facing front #421, 1990. 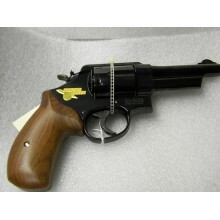 Two pin..
S&W 21 Thunder Ranch .44 Spl., in box, blued with 24K gold plated Thunder Ranch insignia., 4" ba..
Wildlife Collection #FK210DR. Black and green grip with two deer. Stainless blade. Manufactured in C..